Luke was 3 when his father murdered him during their first unsupervised visit in Durham Region, Ontario, in 1997. Luke’s mother had serious concerns about Luke’s safety with his father and had applied for supervised access only through the family court, after the couple separated. She was unsuccessful, and Luke’s father was granted unsupervised visitation. The murder was devastating, not only to Luke’s mother, Kate Schillings, but to the community as a whole. Schillings played an important role in the work done in the Durham Region, as did many other women who had left abusive partners. As a result, Luke’s Place was born. Serving women in Durham Region since 2003, Luke’s Place is a resource center for women separating from their abusers. While plenty of shelters focus on the housing and basic needs of survivors, Luke’s Place offers free family law support and information, access to legal advice and assistance, legal aid and lawyer referrals. Women can conduct their own research and work on their court documentation in the resource library. “Our goal in providing support to women is to help them prepare for the family law process and often that involves court,” Barkwell says. But the advocates at Luke’s Place also assist with other aspects of separation as well. Luke’s Place physical center is located in Durham Region and serves area women, but its reach extends far beyond the community’s borders. Luke’s Place offers in-person and online training to shelter staff, lawyers and other social services professionals across Ontario. Luke’s Place is the first and only center of its kind in Canada and the U.S. as far as Barkwell knows, and the organization continues to innovate and expand services for survivors and those working to end domestic violence. Even though your community probably doesn’t have a Luke’s Place, that doesn’t mean legal services aren’t available. Plenty of shelters and women’s organizations offer legal advice. 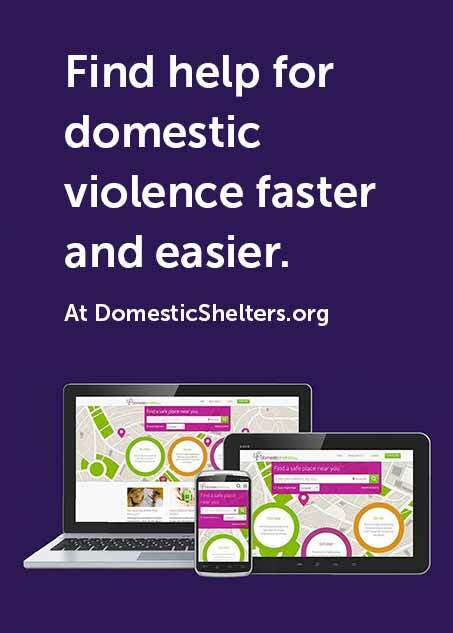 Ask victim advocates in your area for resources. And check out our article on Free Attorneys. Why Are Abusers Getting Their Kids in a Split?